Small Business Investment Climate Reviewed! In the Philippines business arena, investment tourism is a popular destination. Apart from a favorable climate for money stock investment, security-wise and business law wise, we can definitely say that it is great to put trust in financing with some of the best businesses in the Philippines today. If you want to know more about Philippines business, go ahead and read along. Whether you are planning to put up a small or big, you can easily become an entrepreneur here in Manila. Read what (PBSP) Philippines Business has to say on this or read more and learn from our family's actual investment experiences below. See currency exchange rate beside. We might not be an authority in small business ideas in the Philippines but we can assure you that you'll learn a thing or two from us on this matter. Why? Because as we've said below, we've done it and so far have succeeded without hesitation in "ALL" our past investments. Are we just lucky? Hell NO! We did it with a plan for sure and we're sure you too can't wait to learn from them. Read what our family has to say about small business ideas, investment opportunities, loan offers, credit card matters, banks, franchising in the Philippines and a whole lot more of what the 3 of us know about the business community today including a review of the top corporations in the Philippines business today. We might occasionally discuss about money remittance ( cheap options and providers ) and finance tips from saving money ( which Filipinos are well known to be very good at ), current / latest peso-dollar exchange rate for many currencies and little things you can succeed on easily by investing your money wisely, like what we've done in the past and have found easy to earn income generating schemes from with very little initial capital, time and effort involved. It's a family secret revealed using tools very few would know or be familiar of like mastermind alliance, teachings from "conversations with god" audiobook and "the secret" audiobook. Those are definitely worth our inspiration and we'd like to share it to all of you too. We believe in 100 folds return after all. Imagine "give 1 get 100 in return"? You don't even need to know math to figure it out. My oh my, business is really fun in the Philippines! Hey! We've got some good examples of small business ideas in the Philippines business scape too, like putting up an eloading station store, foodcart franchise, putting up an online selling shop to sell products ( btw, we're on our way to ejuice selling soon ) that are not even ours to make at all acting only as middleman with less cash out investment requirement and stress from production, people management and more. There are lots of options and what's good is that we strongly believe that a healthy competition helps business grow so there is no reason why we won't share what have helped us succeed in the past. If you have some good helpful tips and compelling ideas, we welcome them getting featured on our blog page by article guest posting contribution invitation. We will provide a form below for you to fill up and submit your business ideas too and we'd be happy to have your name written for credit on it. In short, we will help the not so average Pinoys by giving insights to help them realize what success we've already had in our life, investing in multiple passive income generating schemes that work 100%. We've done it so why can't you? And believe me we've done it without much of the stress involved in handling multiple small Philippines business online and offline roller coaster. Our daughter TJ has also done her share for us at an early age of 14 years old earning us some $ for the online job in blogging writing song lyrics which she loved so much. We gave her her share of the fruits of labor anyway and it made her feel good and excited about what we do. Some real life examples of what we've succeeded in the past 18 years of our life as a couple are - putting up and managing a small electronics repair shop ( has grown into 3 branches in a span of less than 3 years ), putting up a small sari-sari store ( we surely have many good ideas here in our 4 years of successful experience selling in wholesale price in the community ), selling "lutong ulam" (food) in the community, doing freelance writing online job, blogging and SEO ( where we've earned the financial freedom of paying for a car in 2010 ), freelance loan consultant, online middleman-type of selling ( so I won't have to develop my own products ). We'll be selling some good authentic organic products soon too using online advertising in Google Adwords. These Philippines business products will include - agriculture and planting materials, organic and all natural honey products ( raw solar-cooked beeswax, honeybee, honey vinegar, beekeeping and production materials, seminar and training on beekeeping ), gardening tools (still a big plan), costumes, artwork services for gifts (arts and crafts type), second hand computer hardware and paraphernalia and more. We're all excited even just planning for these Philippines business ideas on small scale investment. There seem to be more on the list than what many Pinoys can see out in the streets when it comes to Philippines business banks. Truth is that there are more on the list back in Wikipedia and I can't have them all listed here in complete set so if you want to find out more information regarding any of these banks, please navigate on the links below. Application form, providers and banks that offer Philippine credit cards to account holders. See our list below or visit our page that reveals the latest BPI card promos. This is important especially if you want to venture in Philippines business with online functionality such as credit card use and order forms for online payment gateway. Here is a list so you know how to get credit card whether those that are prepaid, mastercard or visa card. Business franchise in the Philippines has never been so alive until the significant increase in internet users in the country. Today, 2013, Filipino entrepreneurs saw an upsurge on interest in investing to food cart business. 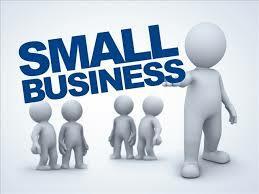 Below are some of the directory options you have if you want to venture in this small business market. Loans are very in-demand anywhere in the world and although in the Philippines, there were very few schemes and loan programs available, banks have slowly merged with lending laws to provide offers that are acceptable to borrowers. See our list below. "Visit our Online Store page in the sidebar." Help our family maintain this site and spread the good news about organic farming and self sustainability in the Philippines. Although very few would indulge and invest in the Philippine stocks exchange, forex trading in the Philippines has seen growth. This of course includes some Pinoys trying to do online trading and knows how to play around with winning the stocks like that of the Makati stocks exchange.